Pebble has released a new smartwatch, but instead of releasing it in a store, it has gone back to basics — a good old Kickstarter. In a bout of nostalgia, Pebble has decided to come back to “where it all began”. According to their campaign page, they now want to return to the community that first believed in them. The reception so far has been insane. Not only has it hit its own target within 17 minutes, it has already hit $8.1M in less than a day, putting it in the Top 5 most funded campaigns on Kickstarter ever. And it’s still going. It has yet to break its own record of $10.2M (which the original Pebble hit), but it seems pretty obvious that it will be hitting that target very soon. The new watch is an interesting one. Named Pebble Time, it has been described by The Verge as a “Tamagotchi that you strap to your wrist”, thanks to its playful appearance. With a Gorilla Glass screen and metal bezels, it mixes the classic plastics from the Pebble and the metals from Pebble Steel to create a brand new look, and is said to be 20 percent slimmer than Pebble’s previous models. The display is a new 64-colour e-paper display that, while not as vibrant as the Apple Watch or Galaxy Gear, works wonderfully in the sun, as you would expect from e-paper devices like the Kindle. This also means that it has an incredible battery life, lasting up to seven days between charges. It also comes with a microphone that will allow you to vocally reply to notifications or take quick notes. 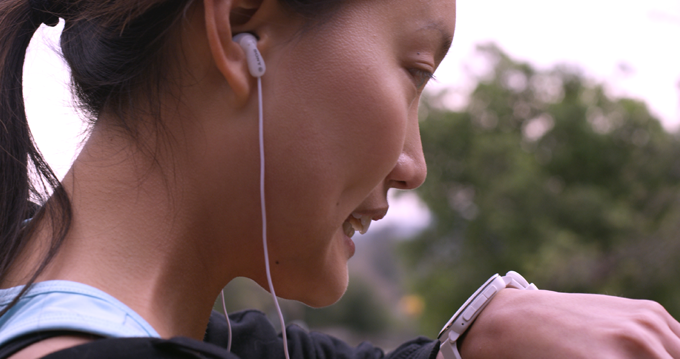 To help with adaptability, it also has a “smart accessory port,” which will allow third-party hardware makers to attach sensors and straps directly to the watch for full customization. 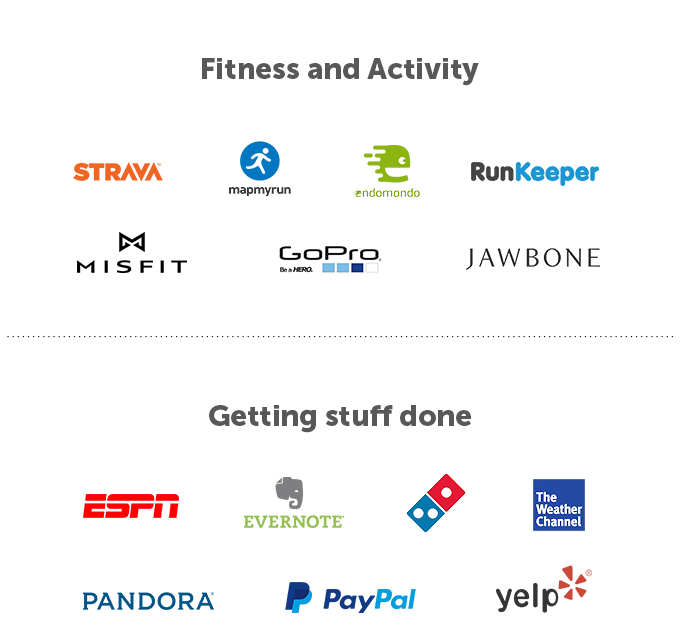 As of now, it has many partners in the timeline, making the Pebble Time pretty much the next smartwatch to, well, watch. The newest feature that comes with it begets its name: it has a new timeline interface. This is a new smartwatch format, where notifications and application elements are arranged within the smartwatch in a timeline format instead of the usual smartphone application format — which makes complete sense when you think about it. 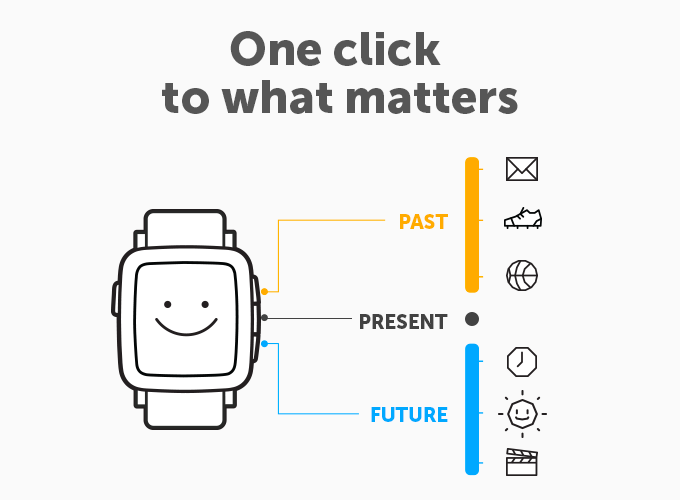 Instead of searching a tiny screen for specific applications, Pebble Time will arrange elements of each application into a timeline — from events, to messages, to steps, to tomorrow’s weather. So that message you recieved at 2pm will be placed before scores of a football match that ended at 4pm, which will appear before a notification of the steps you took today, and after that a notification about tomorrow’s weather. It is, after all, a watch, and what makes more sense on a watch than time? You will also be able to tap on each element to see more, so you’ll be able to compare today’s steps to yesterday’s, or check what other football match will be on tonight, all from the timeline. 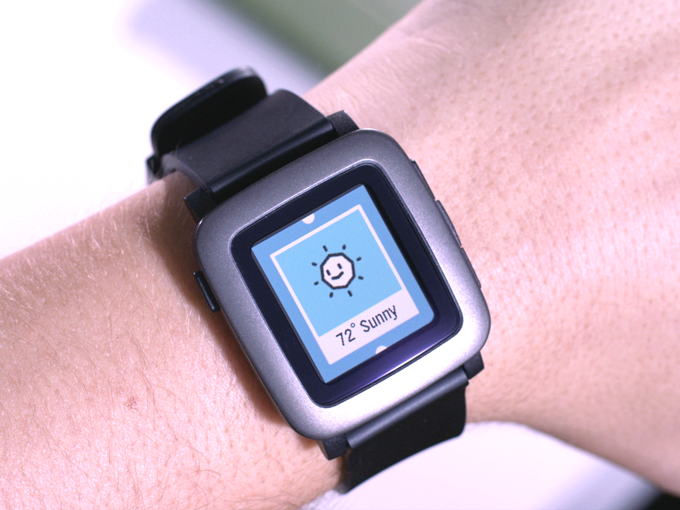 So if you’re looking to get the Pebble, you better hurry, because slots are running out — fast. Heck, I’ve already gotten mine. And if you don’t act fast, the next time you see it will be in retail, while everyone around you wears it proudly.